This is a Dentzel carousel that was previously in Ocean Grove New Jersey. I hope the carousel ends up someewhere where it will be appreciated. 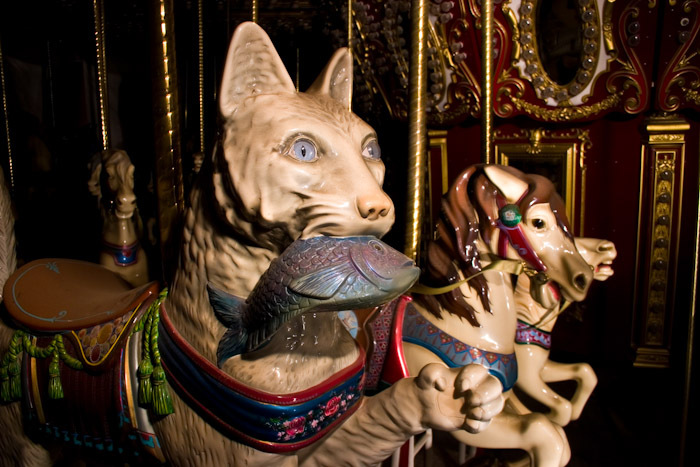 Wow – and to think I once rode on that carousel as a child in NJ!!! a Dentzel carousel horse here in FL for $18,000.00! Some are casts of famous makers, including Dentzel… but they are fiberglass, not wood, and they are not antique.